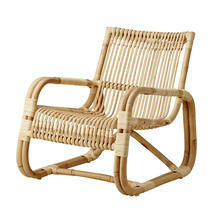 Retro styled rattan chair for indoor spaces. 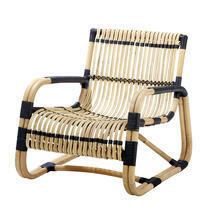 Curve is an unusual lounge chair, and a statement piece. 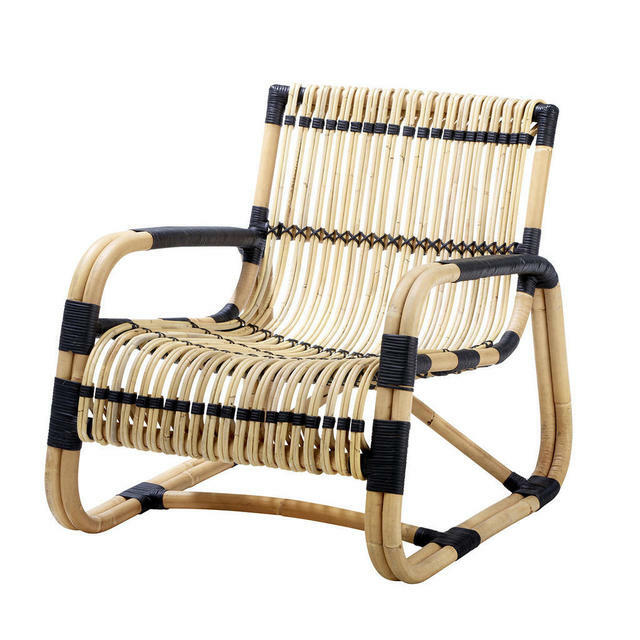 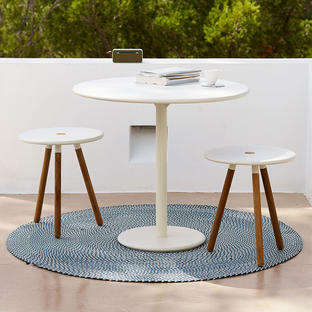 It is shaped from sustainable natural rattan with black bindings lightweight yet strong and with a unique sculptural look. 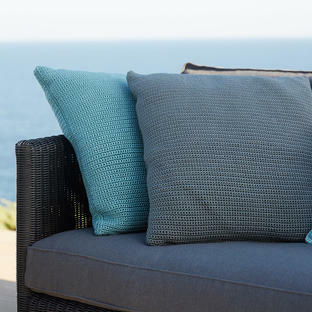 Deep, low and relaxed seating. 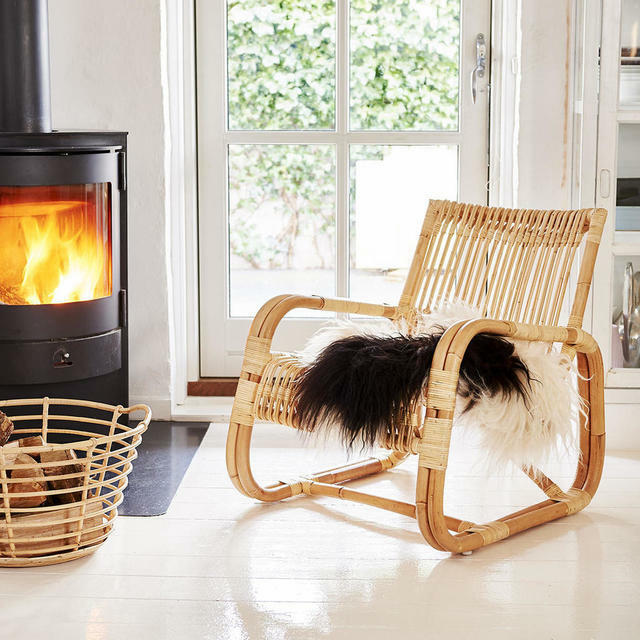 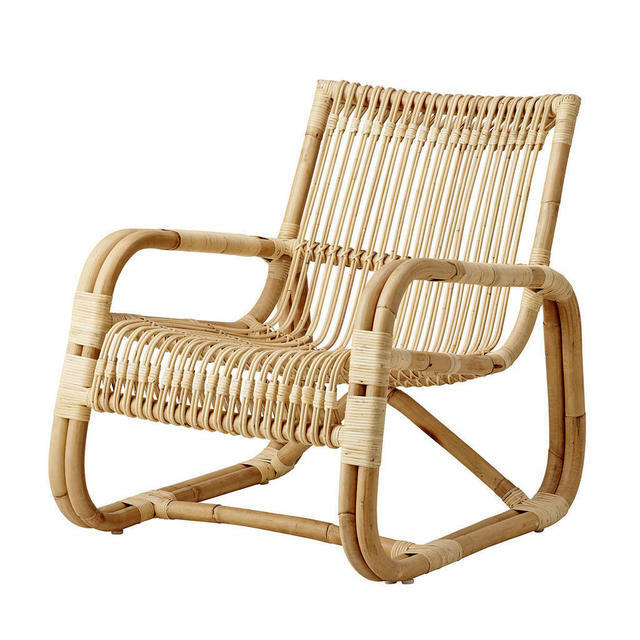 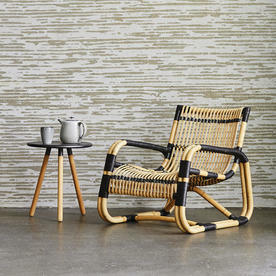 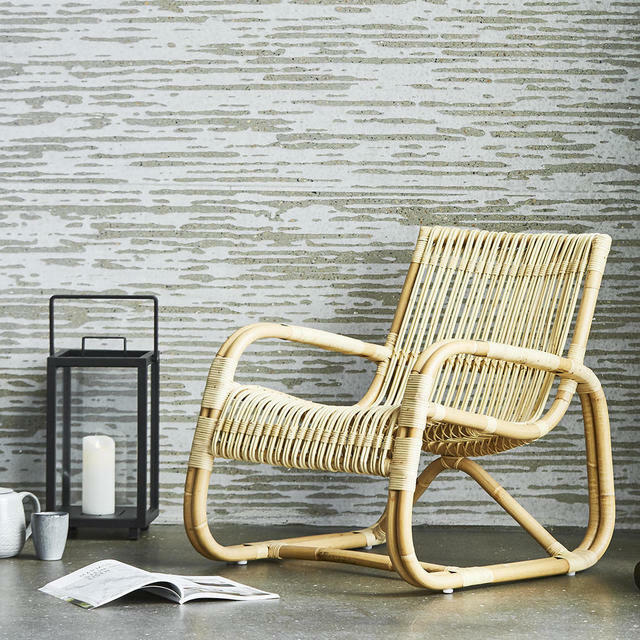 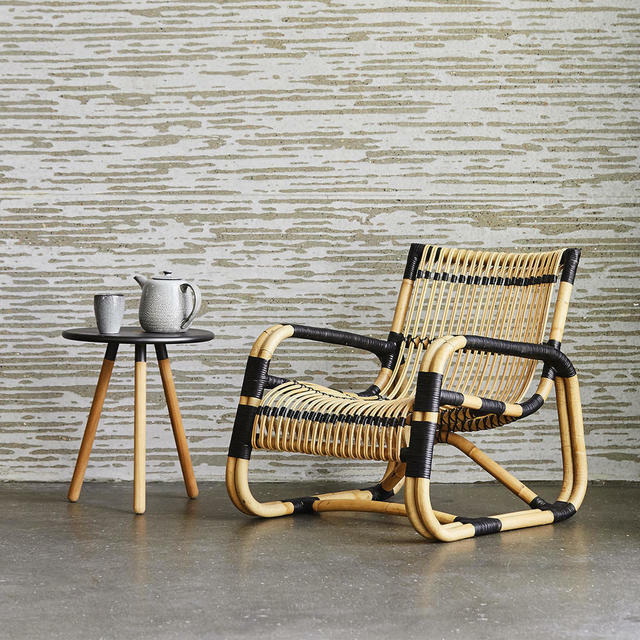 Choose from natural rattan with black bindings, or a totally natural rattan finish. The Curve chair works perfectly with the Nest collection and the Sense sofa. 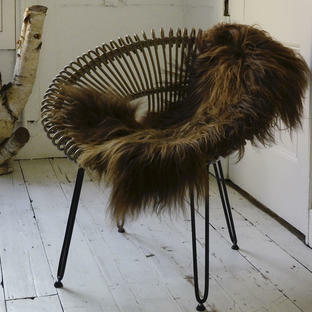 Just add an organic sheepskin rug for that finishing flourish.